Sony has come out with a new app called Xperia Privilege which is officially being seen with Xperia Z owners, getting an update for it, though the app is available for download for all users on Google Play. Well it’s a new marketing idea of Sony giving some promotional offers to it’s users. 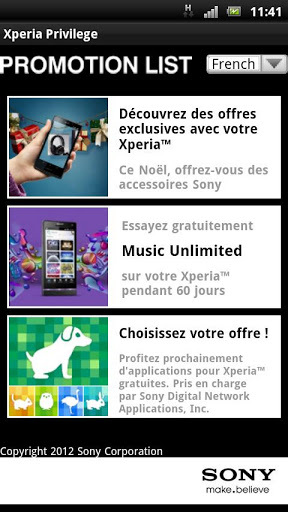 Currently only Xperia Z users are able to get the benefit of this promotion via their Xperia Privilege App Version 2.0. Xperia Privilege App Version 2.0 is officially available at Google Play and currently in beta phase. 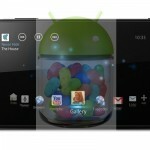 The listing of app says that it is compatible with any Xperia smartphone over Android 2.1+. 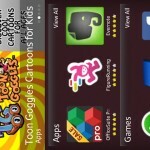 This app is currently offering some £20/€25 free vouchers to all Xperia Z owners which can be spent at apps like “Play Memories online, Music Unlimited, Play Now, PlayStation store etc. You can enter in various competitions making you eligible to win some goodies and discount on apps. Avg. Rating – 3.4 ( May be due to because this app lists only promotional offers and many users are getting black screen error). How to Install Xperia Privilege App Version 2.0 on all Xperia Phones ? As mentioned by Sony in the listing that Xperia Privilege App Version 2.0 is available for all Xperia users but when we tried this app on our Xperia SL we got a black screen only with no promotional offers listed. Some popular supported Phones for Xperia Privilege App Version 2.0 :- Xperia Z, Xperia ZL, Xperia T, Xperia TX, Xperia Tipo, Xperia Tipo Dual, Xperia V, Xperia E, Xperia E Dual, Xperia SL, Xperia S, Xperia Ion, Xperia P, Xperia U, Xperia J, Xperia Sola, Xperia Go, Xperia Neo L.
Download Xperia Privilege Apk Version 2.0 from Google Play officially, if you are not able to download from Google Play, use the given below manual download link. [ UPDATE – 17/05/2013 ] Xperia Privilege app has been updated to Version 2.1 now, you can download the latest from given below link or from Google Play. Avg. Rating – 3.5 ( May be due to because this app lists only promotional offers and many users are getting black screen error). 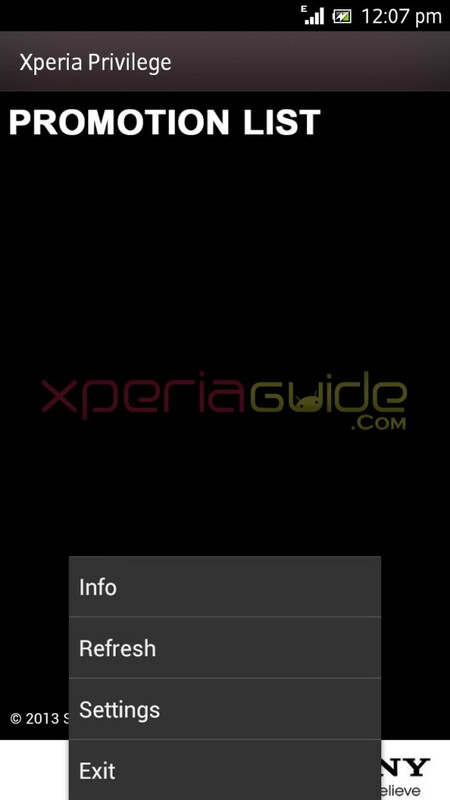 Install the above downloaded Xperia Privilege Apk. Run it. ( You can download both Version 2.0 and 2.1 anyone you like ). As soon as you run it, it will ask you to accept TOS, do it and proceed further. If you see a black screen only like with no promotional offers listed, then it must be because it has no offers in your country. To see them go to “Settings > General Settings > Setting of Country/Language > Choose UK > English > Ok”. Now you will be able to see all promotional offers. 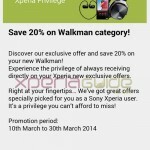 How to get Free £20/€25 Voucher on all Xperia Phones via Xperia Privilege App ? Supposing now you have successfully installed Xperia Privilege Apk on your phone, as the Xperia Privilege app is supported by every Xperia smartphone but the promotional offer is only limited to Xperia Z only. So in order to get the Free £20/€25 Voucher on your Xperia handset, we need to do some editing in the build.prop file. Device must be rooted, if it is then proceed further. With the help of your file manager, navigate to /system/ and open the build.prop file. Now we are going to edit the build.prop file. Navigate to ro.product.model=<value> and ro.product.board=<value> and in place of <value>, we will add the value of Xperia Z which is to be put like Product Model = Xperia Z = C6603/C6602/SO-02E and Product Board = MSM8960. Now your build.prop file must be showing ro.product.model=C6603 and ro.product.board=MSM8960. Reboot your phone and you are done. Open the Xperia Privilege app again and now you should see all promotional offers listed and your Free £20/€25 Voucher. Say cheers on using the Free £20/€25 Voucher, now you are done with this, if you still are not able to see any promotions after doing above step then please wait, the Xperia Privilege App Version 2.0 will be unlocked with all promotional offers soon for all countries. If you have been able to run this app do let us know does the free voucher offer worked on your phone also or not ? All comments are appreciated. 61 Comments so far. Feel free to join this conversation. After changing to country UK on my XS, it is still showing Black screen error, What to do now ? Try changing to “France” as a nation and if you still are not able to access the app, then it’s your bad luck do try when it is available all around the globe. I have a Xperia Tipo and I followed the instructions but I can’t find the folder “system” neither the file “build.prop” ; what should I do ? Is your Xperia Tipo rooted ? Only rooted phones have access to build.prop file ? Not working with this v2.1, it was all fine with 2.0…but m not able to use it on new version….anybody had luck using it till now ? Worked on Xperia S from germany 😀 Be careful editing your build.prop. If you do it wrong your phone won’t boot (like it happened to me) Use a tool like ROM Toolbox or build.prop editor! do you know how i can get that app to work on windows 7 ? 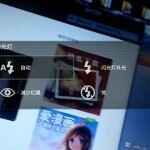 Hi, how do you change your device on BlueStacks? 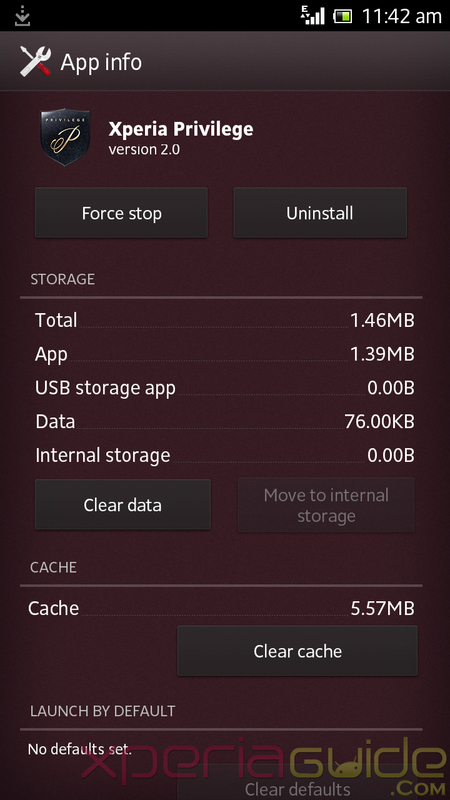 Anyone tested what happens if I make factory settings of my mobile and then re-install the app? Can I use it then twice? Well it should work as far as I think, as when we reinstall the whole phone software the apps are installed fresh so it should be the case here also. It says, the app has been updated to 2.1! Is there any way to download the update? Thx for the guide btw! Check the post again, we have updated the version 2.1 links for downloading manually with change logs. 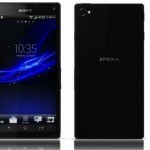 I’m using a Xperia mini pro… I did everything as your guide say. 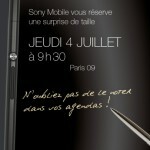 Yes the error is usual as the “offer campaign is only available for Xperia Z users and in some defined countries only. Did you change the build.prop file of your xperia mini pro, it needed to be done for availing the offer ? Yep, I edited it manually with root explorer, then i check it and it is as it should, the old version of the of the app worked fine but it was too late for me they didn’t send me any code, this version however seems different, maybe i need to edit another parameter in the buildprop because it wasn’t my ip im sure i have a uk ip. cheers! yes this version seems quite different. Not working version 2.1 for me also on my xperia p….trying to have some other build.prop settings. Yes the error will show up because we need to have rooted Bluestacks for this. Some said in comments that it worked on the rooted bluestock as we need to edit the build.prop file to change the device bluestacks to use it. Version 2.0 worked fine last week but 2.1 didnt work. As making more changes in build.prop file, Thanks for sharing link 🙂 Let us know if it worked for you for which settings. May be Sony have done some changes in the internal files of app. Just now above 2 users reported that version 2.1 didn’t work for them as 2.0 was working for them even in phone they faced this issue. How do you manage to root you bluestacks app on pc ? and the device changing how it was done ? downloading it , thanks 🙂 Will try with version 2.1 with some more build.prop settings. Didn’t work for me, let me know if it does for you. It’s MAC address just went through the code side by side. Is there a trick to Change MAC? I installed version 2.1 and it’s still telling me I need to update it. No it didn’t happen with us, try rebooting your phone once, and if it don’t go yet…then un-install the previous version and then install new version. Hey, here is the Xperia Privilege APK 3.0.3 Enjoy !! I also know know sony remembers what you have claimed partly by a cookie. After entering my email address it tells me i need to update the app and links me to the play store. I think it is something to do with the user agent that tells the webpage what app version the phone is running. Ill try and change the web address in my app to my own website and capture the user agent. I just ran packet sniffer again capturing all the redeem process if you want to read it here is the paste http://pastebin.com/9fite3q7 or if you want the .pcap file for wireshark http://www.mediafire.com/?mwd5qa3bhjxsrq1 . I think I am close to finding the useragent, Hope I dont get a C&D from Sony :p .
Hey i have this message E500800 Using operator is unavailable for this campaign. I have an Xperia Z, but i live in Hungary, so the app is not available for me. So I downloaded and installed the 2.1 app and changed the country to UK. This way I see two offers but the SEN voucher is not there for me. Any suggestions what should I do? A new gmail account, or what? I don’t really get it. Should I reformat the phone, and use a UK Gmail account? Thank you for your help, I appriaciate it. I already have a UK SEN account on my PS3, and I’m planning to use the voucher there… 🙂 The hungarian PSN store is just plain bad. So what should I do to get that voucher? How do I make a UK Gmail account or does that help at all?